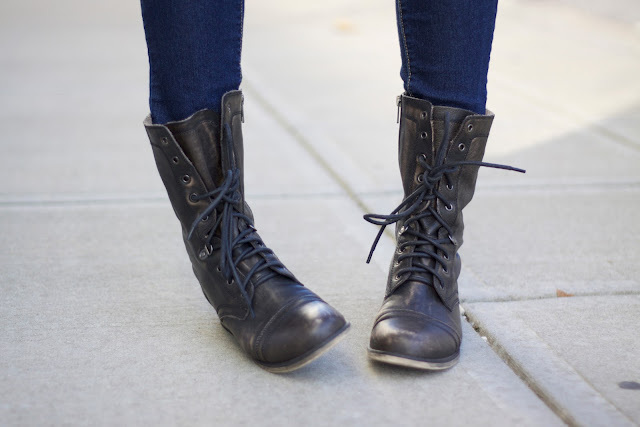 Combat inspired boots: Aldo Shoes. Baseball tee and skinnies: Forever 21. Downtown cool: something many of us aspire to style-wise....but does anyone else find it's challenging to not look too "hipster"? 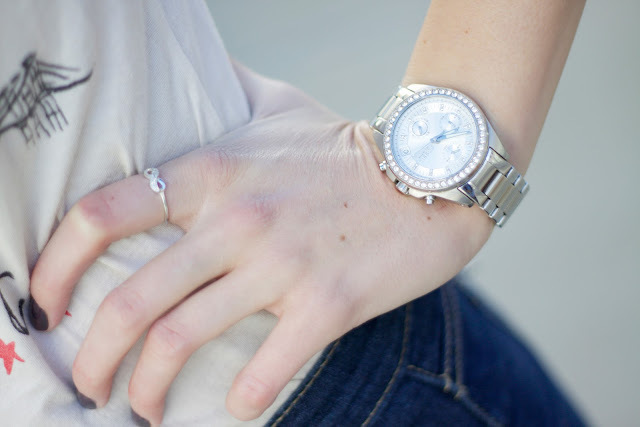 I don't like to imitate trends/fads TOO closely, so even on a less feminine outfit like this one, I styled it with curled hair & a sparkly watch to keep it consistent with my own style. Styling really is all about contrast & balance...it's okay to mix-n-match styles to make it your own! I can sooo relate on the hipster thing! But like you said, there's a balance there with adding our own touches! Adorable as always, Jacy! I know! I really want some retro looking glasses from Warby Parker and they're so so cute, but now everyone is doing the retro glasses frames thing :( so I don't want to look like I'm just conforming! haha. I have that same watch, but in rose gold. Love it! im in love with all your outfits. Cute outfit! Thanks for your lovely comment on my blog! lusting this look!! 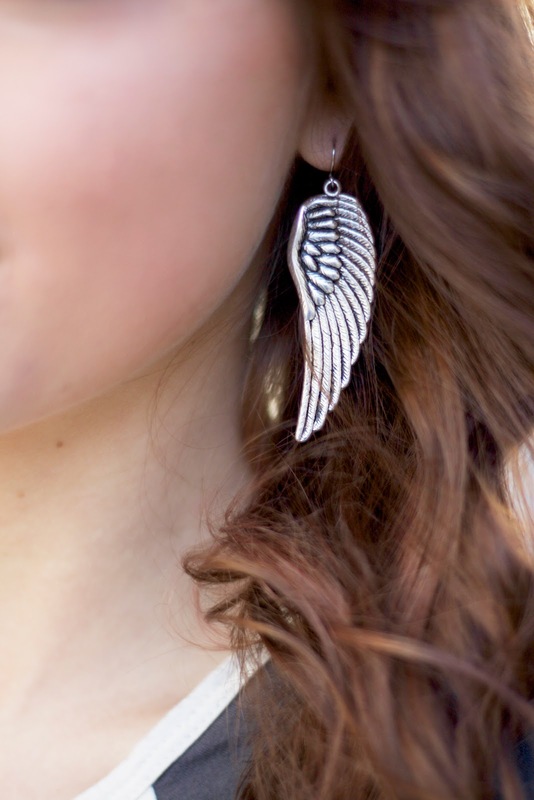 great accessories :) Following you! thank you! I've been wearing these earrings every chance I get! hmm it doesn't show you in my followers...did it work? now following you as well! LOVE the earrings, so sweet hun! Belated thank you for the lovely comment on my blog- following you now! You have such a great body! I love this outfit! Come to visit my blog and if you like let’s follow each other on Bloglovin, GFC and Facebook! I am following through GFC and bloglovin!